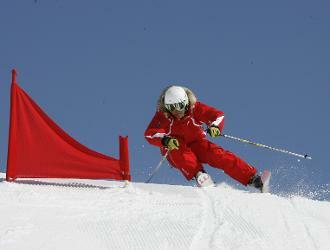 Whatever your level, discover new slopes and sports! You can progress in ski or snowboard group lessons or during private lessons with your own instructor. If you are looking for thrills, Freeride or Competition courses are meant for you! Discover new moutain places and learn to master them. Classes are organized by level and age for a better group progression. Train with professionals and beat the clock! 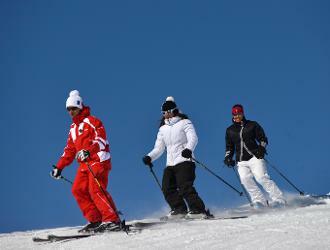 Learn skiing in a friendly atmosphere! The program is meant to suit everyone's needs and levels and combines technique and fun. Either you are a beginner or an advanced snowboarder, group lessons will allow you to improve your technique and create your own style. Progress confidently at your own pace.